1) Please tell us more about Urban Spring and what had motivated you to co-found this company? Our company mission is to significantly reduce the consumption of single-use plastic bottles by planting well-designed and well-maintained water refill stations in different locations and occasions. Established in September 2015, Urban Spring strives to provide a contemporary water refill experience through bringing together a suite of applications and solutions for access to clean drinking water, in an environmentally conscious way. 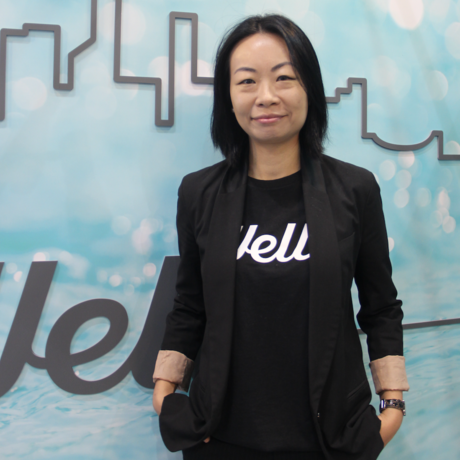 Well井 is our signature product, a Hong-Kong designed, award-winning smart water refill station that provides point-of-use drinking water serving hundreds and thousands of people commuting around our city. Our core belief is to use data to drive our service design and lead the change for better living. Our product development has moved towards an open-source IoT (Internet of Things) infrastructure for data collection, processing, analytics and device management. This enables us to be more adaptive and evidence-based in product, process and impact assessment. Plastic waste is too big an issue for any party to tackle. Plastic bottle contributes a big percentage of the plastic waste and plastic bottled water is a big part of that. It is clear to us that there is alternative to bottled water. We just need to leverage good design and technology to ensure that water refill experience is a delightful and pleasant one. 2) What excites you most about your industry? We consume a lot of single-use plastic and water directly or indirectly. Yet we know so little about them and their impact on our everyday lives. There is huge opportunity to raise the awareness as well as the economic value, which translate to a tremendous business and marketing opportunity. In the past year, there are many media coverage of these issues globally and locally, which has driven more commitment in the private sector to implement concrete steps and timeline. 3) Can you describe the how the continued use of plastic bottles is affecting the Hong Kong environment? Every day we are disposing more than 5 million single-use plastic bottles in Hong Kong. The height of stacking them all vertically is equivalent to 2,200 ICC. Most of them are not recycled and end up in landfill or irresponsibly disposed in our country parks or coast. Micro-plastics are not just impacting marine life because they also go into the seafood and our food chain. 4) Among Asian countries, which country has done a good job on tackling the issue of plastic waste? And how can we learn from them? Countries like Japan and Korea are doing a better job in recycling. However, they are producing and consuming a lot of plastic in the first place. More effort is needed in reducing single-use plastic. Legislation to ban certain single-use plastic items is a key to accelerate the reduction in consumption and production. Karnataka in India has banned the use and manufacture of plastic bags of any thickness in 2015. In Taiwan, from 2020, free plastic straws will be banned from all food and beverage outlets. From 2025, the public will have to pay for takeaway plastic straws, and a blanket ban is to be imposed in 2030.